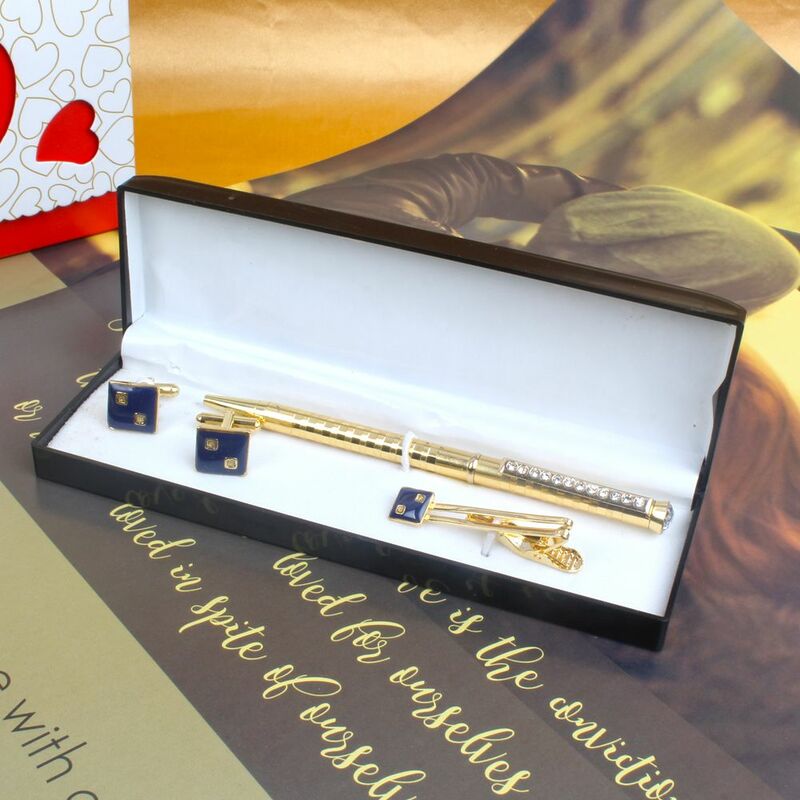 Product Consists : Navy Blue and Golden colour Tie Pin and Cufflinks with Golden Diamond Studded Pen in a Gifts Box. 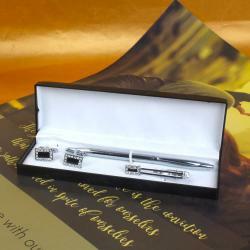 Make him feel elated in any special occasion for this fabulous gift items. It is a perfect complete men gifting set. This gift item is bound to bag appreciation of the receiver. Giftacrossindia.com presents this Men hamper set, which is a perfect gift for your husband, father,brother and many more on his birthday, anniversary or to make his day more memorable. This gift combo contains mind blowing products that will surely elate him from his core. It contains one gift box of black color. 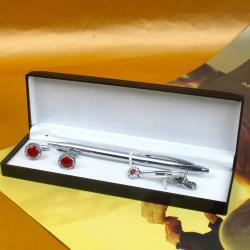 The box is filled with pen, tie pin and a set of cufflinks. All three items of this gift combo are gold plated. 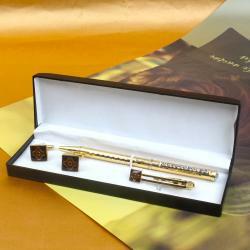 The pen available on this gift combo is very beautifully crafted. The pen is adorned with glittering stones. Tie pin and cufflinks of this gift combo are adorned with square shaped blue stone. Buy this combo for yourself or gift it to your dear ones in any special occasion. 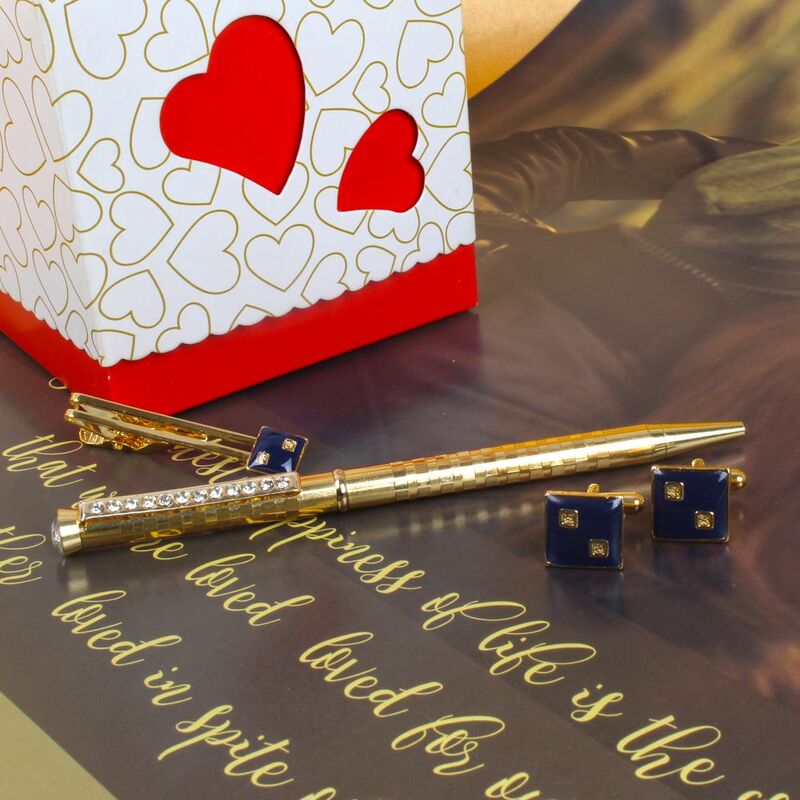 Product Consists : Navy Blue and Golden color Tie Pin and Cufflinks with Golden Diamond Studded Pen in a Gifts Box.